Restoration – Mr. Clean-up Inc.
Mr. Clean-Up is the representative supplier of Acoustical Recoat™ / Ceiling Pro products for Winnipeg. 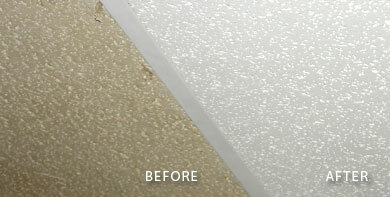 Acoustical Recoat™ is an extraordinary, cost effective alternative to replacing ceiling tiles. 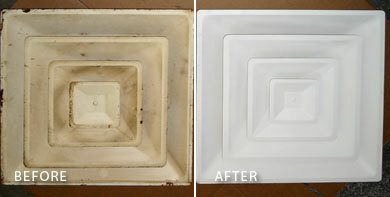 Some ceilings are beyond cleaning, or they are highly textured and do not clean well. 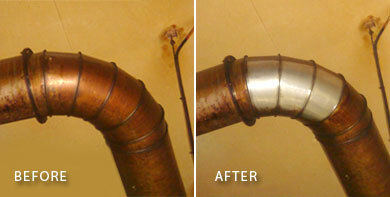 Acoustical Recoat™ is long lasting and allows for years between treatments. It blends so easily that we can do some one day and take up where we left off the next day, or next week, without overlap showing. The Acoustical Recoat™ solution / Ceiling Pro products are not limited to ceiling tile applications. They can also be used for cleaning/re-coating of metal or plastic grids, vents, speakers, other non-vital interior fixtures and surfaces, as well as exterior applications such as commercial signage. To learn more about our cleaning and restoration services, and the Acoustical Recoat™ solution, please contact us for more information.